Only one week out from Season 3 of the RPL!! Woo Hoo! This season should be an exciting one as we have added several members are now looking at a 16 person field to vie for title of RPL Champion!! 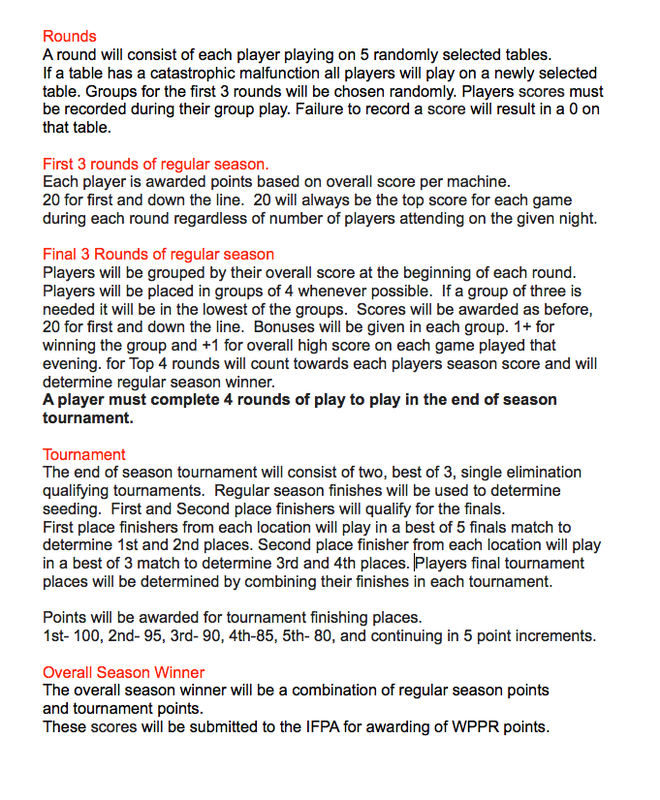 We have a couple rule changes to this season to reflect players true rankings amongst other players in the league. That should make for some tight races across the board. Below is our new scoring system. Hopefully this will end up being a stable and easy to use system from here on out. Stay tuned for updates over Season 3. Thanks for looking. 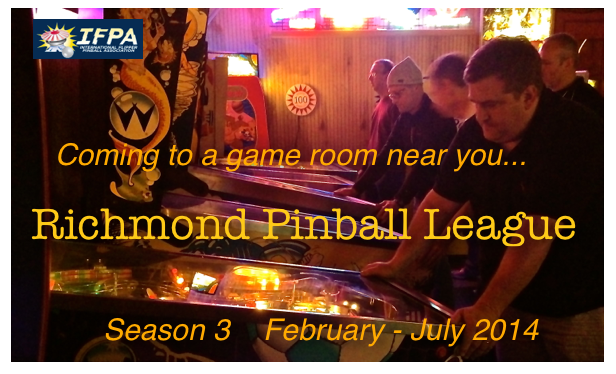 This entry was posted in Events, League News and tagged pinball, richmond pinball league by taylorva. Bookmark the permalink.